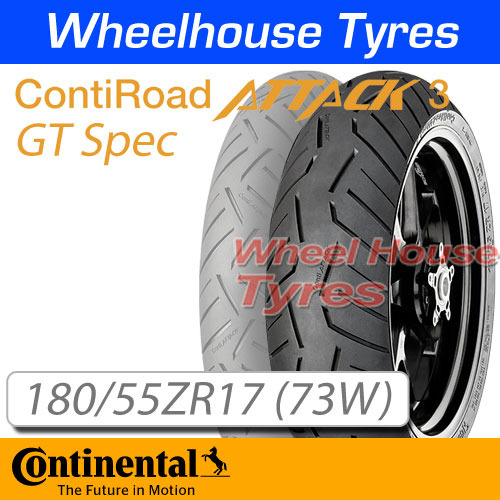 The Continental RoadAttack 3 is the latest addition to Continental's already strong Sport Touring tyre range. Available for a wide variety of motorcycles, with a GT option for the latest Grand Tourers and a size range developed for the ever popular Adventure Touring market. The Continental RoadAttack 3 is an all round tyre designed and made to the highest standards for sport touring segment. Performance oriented pattern design for better drainage in wet conditions. More improved wet grip due to an optimized compound. The Easy Handling technology bestows the tyre with linear handling even if stabilizing gyroscopic forces are nominal (e.g. when turning). Simultaneously, accuracy and groundingfeeling are improved at benchmark level – applies to all riding situations in this segment. 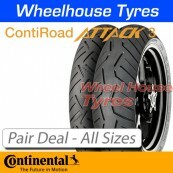 Comfortable and easy for all demands, whether on long rides or winding roads. Balanced characteristics from the first to the last mile. TractionSkin, a revolutionary new micro-rough tread surface, virtually puts an end to tyre break-in. 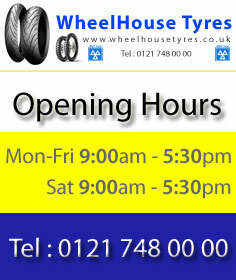 This is possible due to a new mold coating technology which eliminates the need for tyre-release agents. MultiGrip makes it possible to use a homogenous grip grading with a single compound thanks to temperature controlled curing of the tyre during the production process.